deconstruct media and other stereotypes. shattered them (?) on live television. at franceskaihwawang.blogspot.com, and she can be reached at fkwang888 AT gmail DOT com. This June will be the 30th anniversary of the baseball bat beating death of Chinese American Vincent Chin, for which the killers, Ronald Ebens and Michael Nitz, were only fined $3000 and never spent a day in jail. 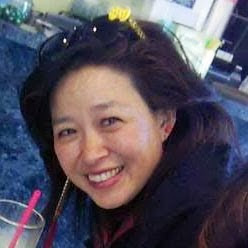 Check out my other blog, rememberingvincentchin.com, recently updated. What does the Vincent Chin case mean to me? 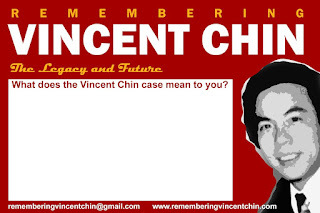 How does the Vincent Chin case inspire me?